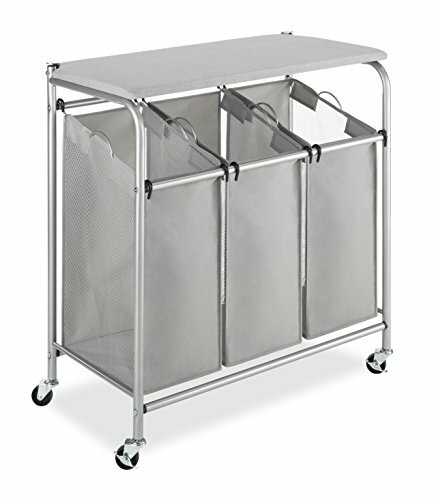 HOUSEHOLD ESSENTIALS Collapsible Laundry Sorter with Lid is a hard-sided 2-compartment sorter that folds down nearly flat. 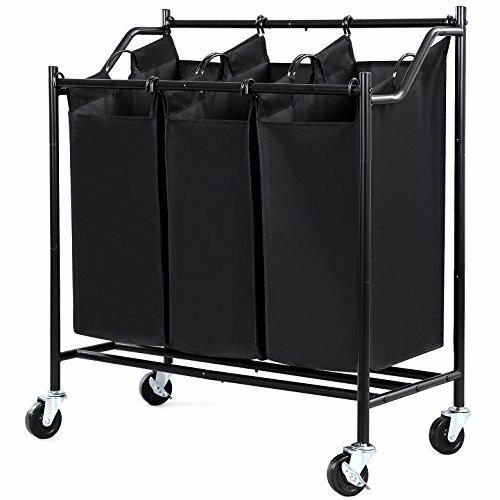 Streamlined and sleek, it holds up to 4 loads of laundry and lets you sort laundry quickly. 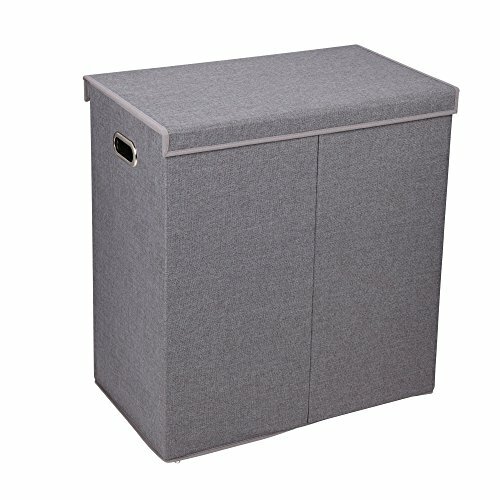 The removable lid attaches with a hook and loop strip on the back and secures to the front with magnets. 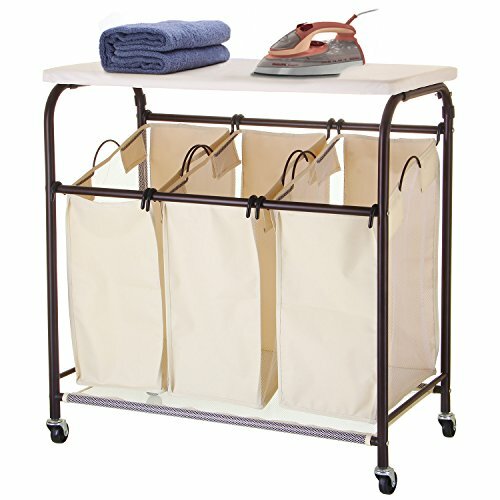 And removable mesh laundry bags make it easier to take out clothes and carry them to and from the laundry room. 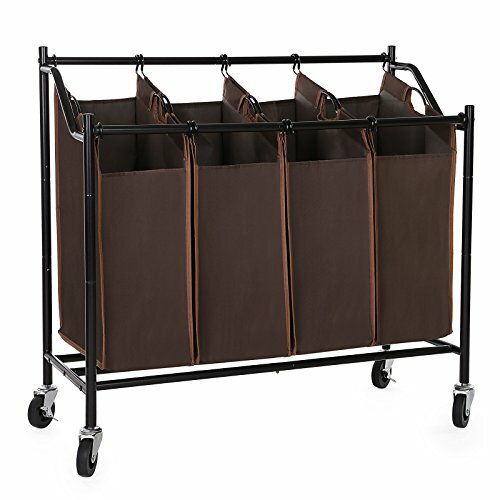 This clothes sorter is made with durable 2.5 mm fiber board covered in polyester linen fabric for a sturdy and attractive laundry sorter. 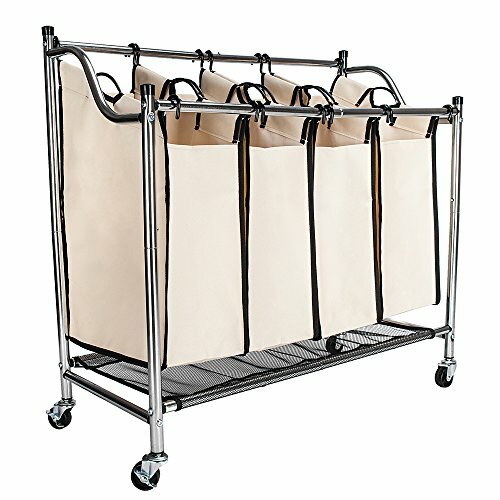 2 grommet handles let you comfortably carry and place the sorter too. Moisture and odor-resistant liner wipes clean with a damp cloth. 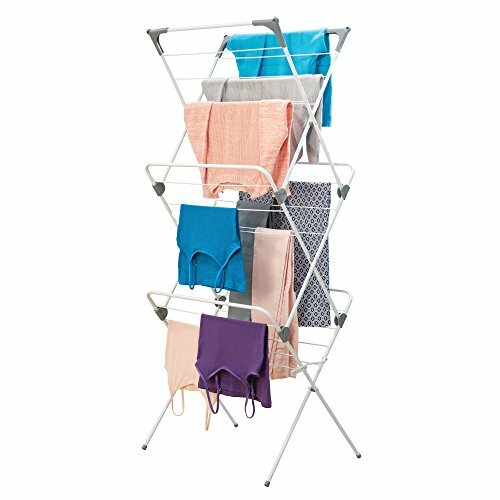 Attractive and highly functional, this excellent laundry sorter is perfect for bedrooms, dorm rooms and families. The sorter 24 x 14 and 26 inches high. 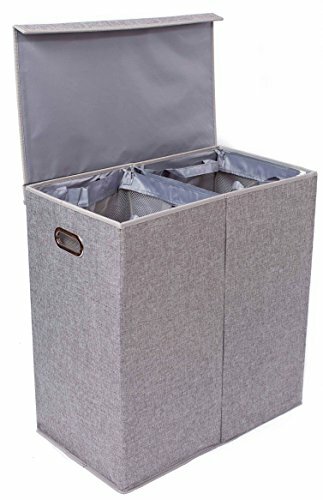 Unfold and insert divider into center pocket of hamper to set up; remove divider and fold flat to store! 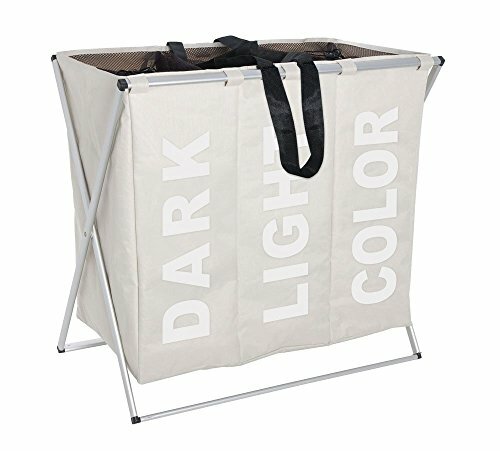 Copyright © Wholesalion.com 2019 - The Best Prices On Laundry Room Sorter Online.